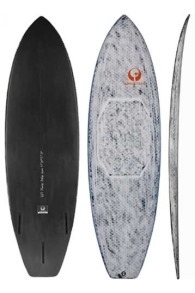 Buy Appletree kitesurf waveboards online at Kitemana! Since 2005 the brothers Wieger and Jorrit Buurma have made Appletree surfboards. 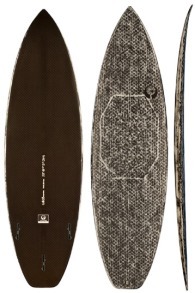 Appletree makes surfboards specially designed for our North Sea. The North Sea has conditions from a calm sea to havey storms with mega barrels.The Appletree boards can handle all Dutch conditions. The unique Hex technology makes the board extremely strong. That the boards perform well everywhere shows team ride Paulino Pereira who is participating for the podium during the GKA wave world tour. 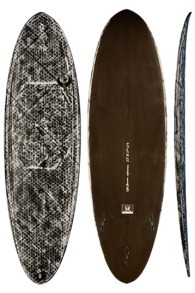 The unique wave kiteboards from Appletree are made by hand by the brothers Wieger and Jorrit Buurma. In 2005 they made their first surfboards. A few years later the first wave kiteboads were added. During the first ten years, the brothers have been mainly focused on testing and perfecting the best shapes for each conditon. The Appletree brothers have their own production method that is unique in the world. They were tired of the kitesurf boards breaking quickly and decided to take matters into their own hands. The kitesurf wave boards are stronger and lighter than all other kitesurf waveboards on the market thanks to the Hex technology that Appletree uses in the surfboards.